Voltaire once said, “Judge a man by his questions rather than by his answers”. Why not judge a man by both? This is a question that corporate trainers have to contend with when evaluating their sessions. Companies in the US have spent $70 billion on training their employees in 2016. In many organizations, allocation of training budget rests with business executives. A study by Training indicates that in 40% of the organizations surveyed, CEOs and heads of business, and functional units are responsible for allocating training budget. Under this scenario, the metric that will be used to judge the effectiveness of the training may be solely driven by business objectives. Therefore, evaluating the training session assumes much more prominence. Kirkpatrick’s Four- Level model of evaluation is one of the most commonly used techniques to measure the effectiveness of a training session. 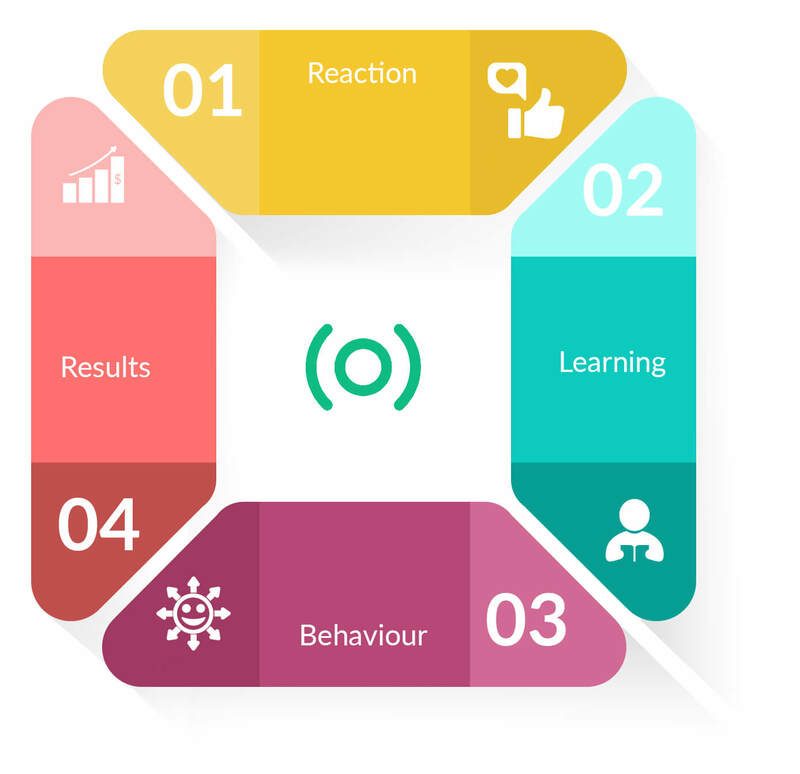 The model emphasizes measuring the impact of the training session based on four parameters — reaction, learning, behavior, and results. Learning Evaluating post-session knowledge enhancement. Behavior Evaluating knowledge application in work. Results Evaluating business impact by the learner. Kirkpatrick’s model presents a challenge in collecting and recording learner views, ratings, answers, and questions in an efficient way. ShowTime can facilitate the trainer in this regard by offering a unified learner engagement platform. Formative evaluation (i.e. evaluation during a training) can be executed by running polls and inviting feedback and ratings during every session. ShowTime can also help in summative evaluation (evaluating once the session is over) of a session through informative engagement analytics. Understand insights about your session through session statistics, talk statistics, and engagement analytics. Reaction Instant feedback and rating: Immediately after a training module concludes, obtain honest feedback and ratings from the trainees to assess initial reception to the session. Virtual questions: Invite active participation from the audience in the form of virtual questions posed by the learners from their smartphones. A review of the questions posed will indicate the level of resonance. Learning Multi-format assessments: Administer assessments in multiple formats to measure the level of knowledge transfer achieved in the session. From open-ended questions to multiple choice, test the level of understanding and retention from the trainees. Behavior Engagement metrics: Incorporate engagement as a dimension of your evaluation. Learn the average time spent on your training session, which particular slides were “liked” and the level of interaction of your trainees. Share insights with the learners’ managers so that they can observe the learned skills put into practice. Results Cohort analysis: Conduct an analysis of your trainee cohort based on their engagement metrics and assessments to notify the management of potential high performers to track. These high performers’ contribution to tangible business results can then be easily measured. We would love to hear about your experience using ShowTime. If you have questions or thoughts that you would like to share, write to us at support@zohoshowtime.com or leave your comments below.